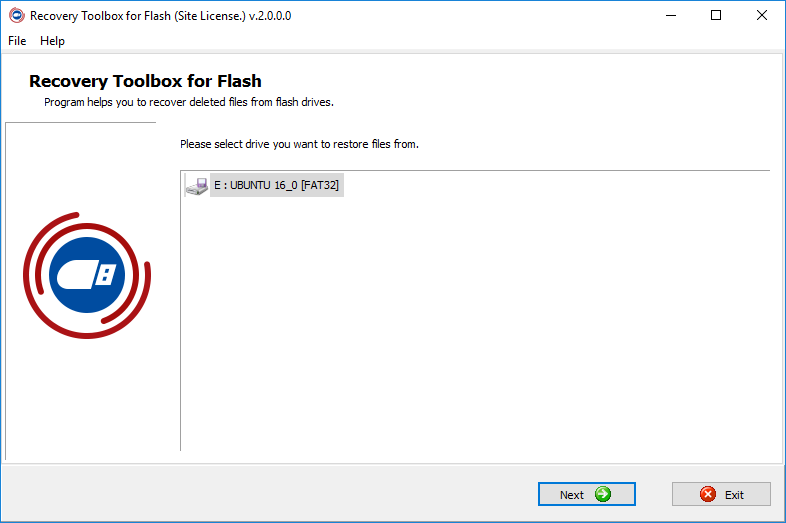 Recovery Toolbox for Flash (Download) was designed to recover files deleted from removable media that use the FAT file systems (FAT12/FAT16/FAT32). Recovery Toolbox for Flash recovers deleted digital photos, video and audio files of various types, documents, messages and much more. The interface of the program implemented as a wizard makes working with the program as easy as possible. 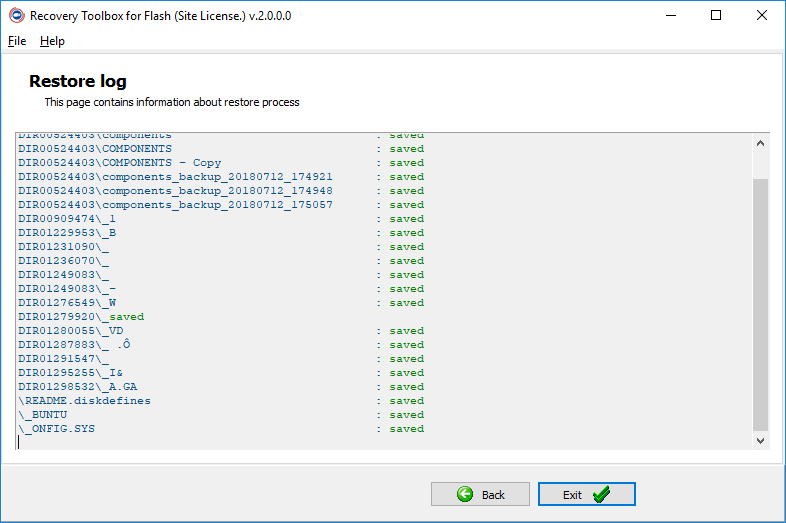 Recovery Toolbox for Flash is distributed on the try-before-buy basis. The unregistered demo version allows you to save only the first five recovered files. The amount of data is not limited after the registration. 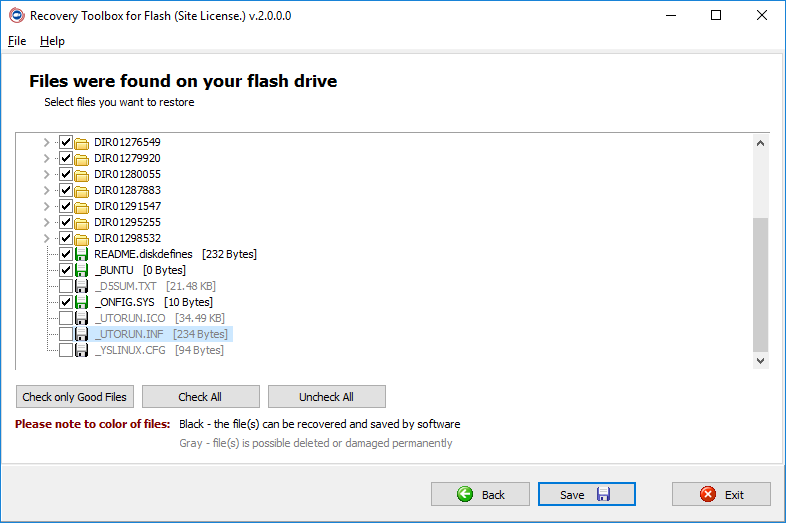 Once started, Recovery Toolbox for Flash detects if any devices (external drives) that use the FAT file system are connected to the computer. The interface of the program shows all found devices in the right dialog box. You should select those devices where files should be recovered. As soon as you select any devices, the Next button becomes available. 2. Select the location where files will be saved. You should use this dialog box to specify where recovered data will be saved. Files cannot be saved to the device they are recovered from. The drive you are going to save files to must have enough free space. It is recommended that the free space on it exceed the space on the source drive. A click on the Next button in the second dialog box starts the data recovery process. Reading the drive, analyzing and scanning will take some time. The popup window shows the progress. After the process is over, the program automatically opens the next dialog box. You can see the list of recovered files in the third dialog box. It is possible to save them all or select some of them. Note: Files whose recovery may turn out to be impossible are highlighted in grey color. As soon as you click the Save button, the program starts saving the files. The list of the selected files and the results of saving them are displayed in the last dialog box. If the file has been saved successfully, the green word saved is displayed next to its name. Otherwise you can see the reason why the files cannot be recovered. 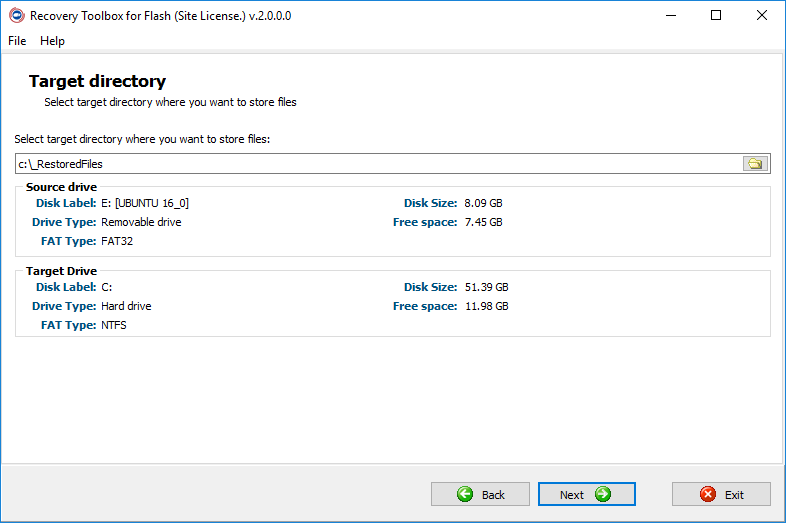 What is a FAT file system? File Allocation Table. It was used in old operating systems (for example, Windows 95/98/Me) to store data about file allocation. It is still used in digital cameras and removable storage devices. For example, the FAT 16 file system was used in MS DOS/Windows 95 operating systems and has the limitation of 2 GB concerning the size of the hard drive. Beginning from Windows 95 OSR2, FAT32 appeared that can work with partitions on a disk up to 4 GB.